Cruise to the beach on an eBike! This greenway bike tour takes you to Rockaway Beach in the borough of Queens. When we get to the Rockaways, we ride on the boardwalk, where we can stop for lunch, take a cool swim in the ocean, or relax on the beach. Next, we start our journey back to Manhattan via the Marine Parkway Bridge (Route A) or Cross Bay Bridge (Route B) via Howard Beach to the Belt Parkway Greenway. This is one of the longest tours we offer. Get ready for a great ride! This tour has different route options you can choose from. The ferry route drops us off at the beach, then we ride back to the city on the bikes via Route A (shorter route — 25 miles) or Route B (longer Route — 63 miles). 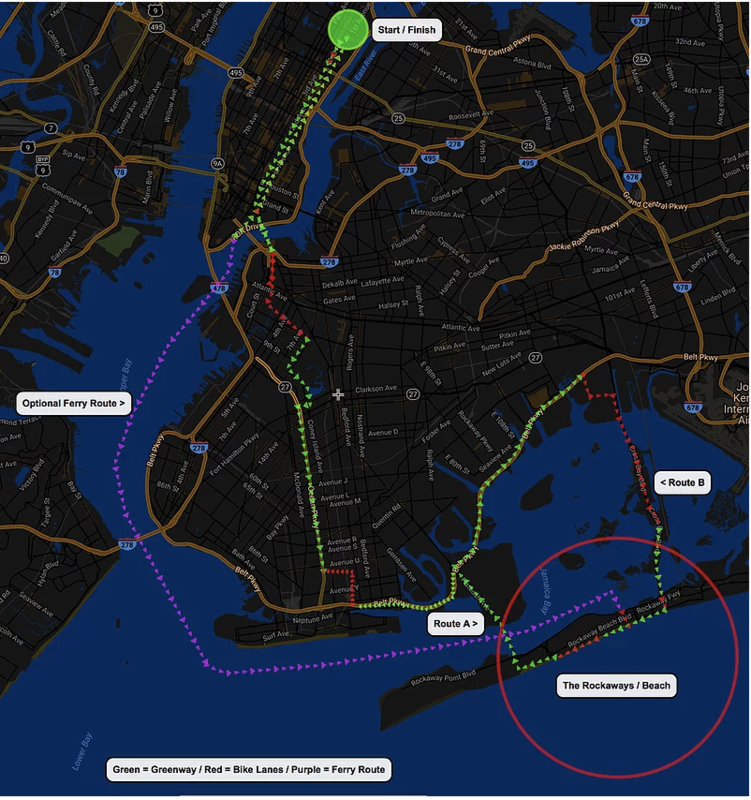 Or you can choose to skip the ferry and ride the bikes roundtrip to the Rockaways via just Route A or both routes A and B (the complete circle around Jamaica Bay).